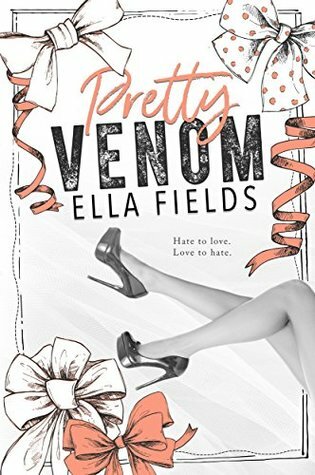 From bestselling author Ella Fields comes a new standalone, enemies to lovers romance. I have a love/hate relationship with angst. I thought I was going to to into a full on panic attack at one point. I’m sure the coffee didn’t help. The angst was obliterating. I was reading one sentence with 2 minute intervals and thinking, “OMG, I can not do this.” But in the end , I made it. I didn’t know who, what or why I would hate but I never ever hated the heroine. It was just something about Renee that I wanted to protect. She was sweet, honest, and had a lovely wardrobe. Not only that, she was lonely. I empathized with her on so many levels. Callum, on the other hand. I think I still hate him. Wow! I don’t think I’ve ever encountered a bigger A**hole in a book before. He was spiteful, hateful, and heartbroken. I still kind of hate him… lol He needed more time to grovel. I needed more time to adjust. I loved them. Callum and Renee’s story was a lesson in trust and forgiveness. It was a hard lesson to watch unfold. But it was worth every scream, curse, and threat to my kindle. I wanted to read a book that would make me feel. Be careful what you ask for…smh! This book helped me learn a few things about myself. I think I’m over books with high school children. I mean, Natasha keeps saying, “They aren’t in high school THAT long.” I just can’t relate to kids. Then, there’s cheating! I HATE cheating!! BUT, this book still pulled me in! It was so angsty, I had to stay along for the ride to find out what was going to happen! I actually didn’t hate Callum. He was hurt and was working based on his pain. I also felt bad for Renee though. Callum made mistakes and alienated her, but she made an even worse mistake without even talking to him about how she felt. There were moments of this book that were PAINFUL to read, so much so that I had to out the book down several times. I agree with Natasha that there wasn’t enough of a reconciliation period. I would have loved to see Renee really reject him, so maybe I don’t like him. This book definitely made me feel and I definitely needed that to get out of the book fog I was in.